As one of the leading insurance companies in Hong Kong, AXA Hong Kong has a role as a responsible corporate citizen; and as a company whose business is to protect people over the long term, we have a responsibility to help build a more sustainable society. 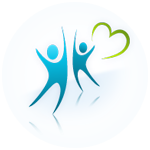 We are committed to “Empower people to live a better life”. 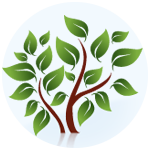 We are not only offering a full array of products and services to the customer but we also care about the sustainable economic development and the interests of the society by taking responsibility for the direct and indirect impact of our activities on various stakeholders, including customers, suppliers, employees, shareholders, communities and the environment. Corporate Responsibility is always placed at both the heart of our business and the day to day interactions with our stakeholders and AXA Hong Kong is taking its actions in a wider sense and reaching out to help people live better lives. In 2008, AXA Hong Kong formed our staff volunteer team, the AXA Action Team (AAT), which is part of AXA Hearts in Action, the AXA Group's international volunteer programme. For years, our AAT members have been playing an active role in contributing our parts to build a better society. In 2017, our volunteers have contributed over 1,200 service hours to serve our community and protect the environment. AXA Hong Kong’s unwavering commitment to corporate social responsibility has been recognised by the Hong Kong Council of Social Service. 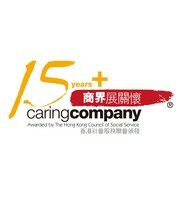 In 2018, we are honored as the Caring Company for the 16th consecutive year since the launch of the Caring Company Scheme in 2002. As the People Protectors, protection is our calling. 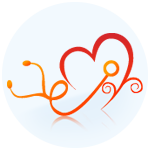 We believe it is our inherent responsibility to protect the communities we operate in and are always committed to giving back to society in the aspects of Health, Environment and other Community needs. 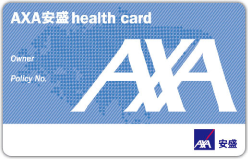 As one of the largest health protection providers in Hong Kong, AXA Hong Kong strives to raise health awareness among people in Hong Kong. At AXA Hong Kong, we are aware of the utmost importance to create a sustainable future, and dedicated to promote environmental protection in society. With long-term commitment in Hong Kong, AXA Hong Kong serves our community by reaching out to those in need in society, giving them our love and care. An annual global initiative that empowers all AXA employees around the world to demonstrate corporate responsibility as part of our day-to-day business. Protecting its clients and the community from risks is at the core of AXA's purpose. Convinced that researching today will help better protecting tomorrow, the AXA Group has created the AXA Research Fund in 2007.